Building a business based on your core values is essential. Learn what our foundational values and strategies are, and how they’ve helped us grow a successful business for 16 years. Business is all about relationships. And in relationship, there are few things more important than healthy communication and trust. Learn how we foster these two important qualities to create a thriving environment for our staff and vendor relationships. Before you can book your ideal client, you have to know who that person is and what’s going to attract them to you. Join us as we talk about our strategies for attracting and booking more of your ideal clients! A brand is more than just a logo or a color palette on your Instagram—it’s who you are and how you represent yourself to the world. 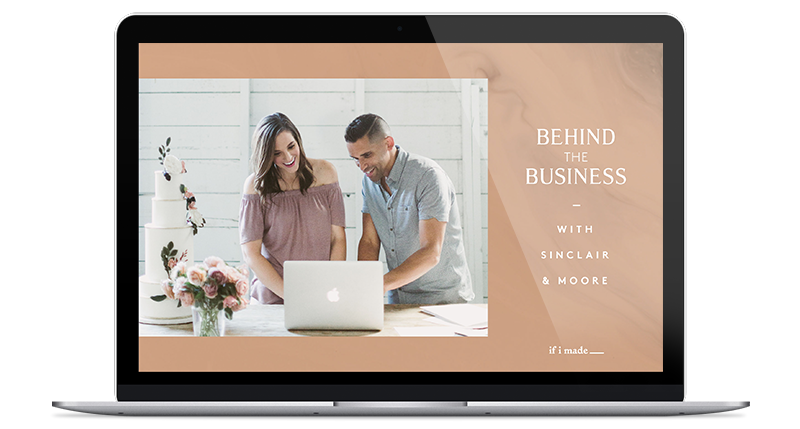 We share everything we’ve learned about building a brand that will outlast any trend. Marketing isn’t everyone’s favorite part of the job but it’s so important. We’ve mastered the art of connecting to clients and vendors via social media and want to share our insights with you! On top of that, we’ll talk about how to get featured in magazines and other publications. This is huge—we’ve never discussed our pricing strategy before, and we’re letting the cat out of the bag. This strategy is the reason we’ve been able to build such a profitable, sustainable business, and we can’t wait to share it with you. AND it works for most service-based businesses like invitation designers, calligraphers, and cake designers. Our floral ordering process is pretty unique to the industry. We don’t itemize or upcharge for our florals….and it gives us so much creative freedom! We’re able to order an abundance of flowers for every event and still earn a profit. 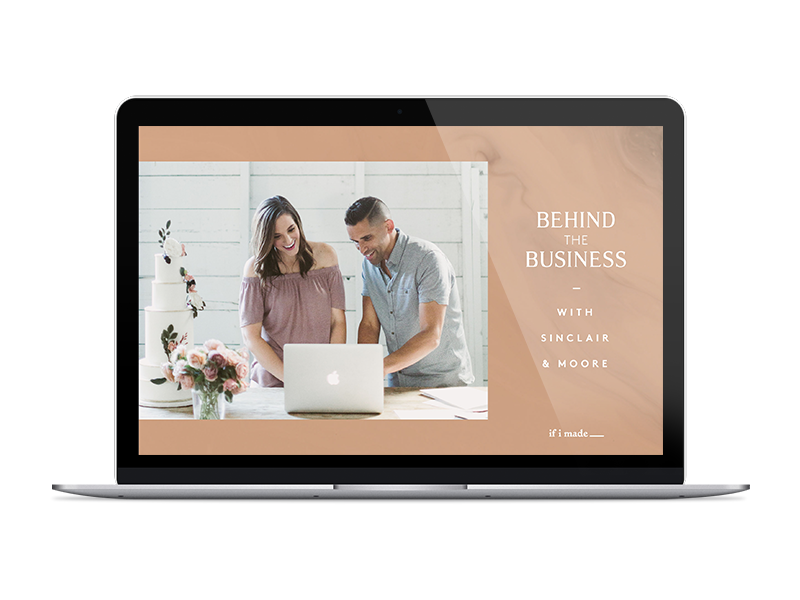 Follow along as we share our entire client inquiry and booking process from start to finish—from the initial email to the final event. We’re going to take you step-by-step through each phase of our planning and design process once the client is booked. Each phase will be discussed in its own video, and we’ll tell you all about the logistics, design, planning, and strategy that happens during each step. 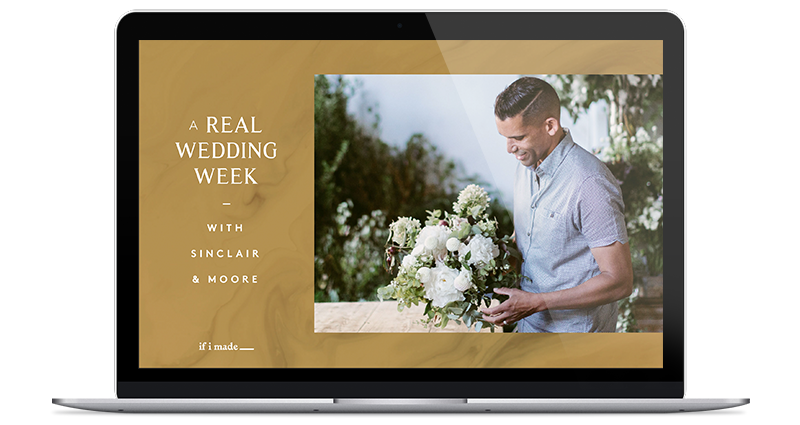 In this course, you’ll follow Sinclair & Moore behind the scenes of a real wedding to watch how they design and plan their stunning events! 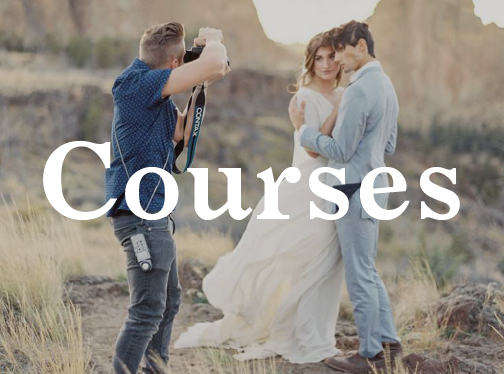 Join us as we take you into our studio for a full studio tour, discuss how we craft and design the vision for a real wedding, and kick off the wedding week planning and design process. Join Steve at the Seattle flower market as he sources his favorite details to add to his floral designs. Find out what he looks for, how he orders, and what his best tips are for finding the most beautiful, unique product (even if you don’t live in a city with a market). You’ll also learn how he stays on budget while shopping. Join us back at the studio to see how Steve runs his team, transports and unpacks his floral product, and begins processing and conditioning for the upcoming events. Check in with Steve and the team as they get rolling on the design process for their first wedding of the weekend. 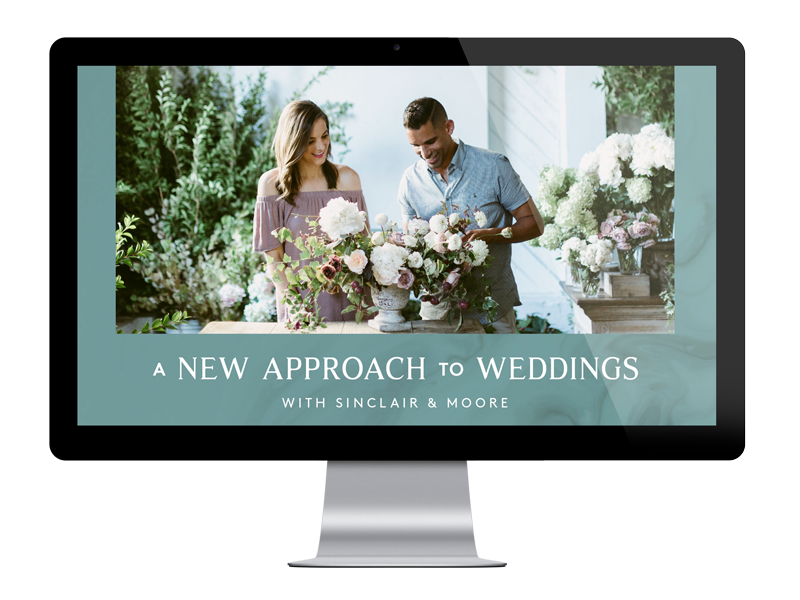 Learn what goes into the planning and logistics, and follow his process to understand the strategies behind a Sinclair and Moore wedding. Watch an in-depth video of Steve designing a stunning centerpiece in his studio, and learn why Steve primarily uses foam in his centerpiece designs. 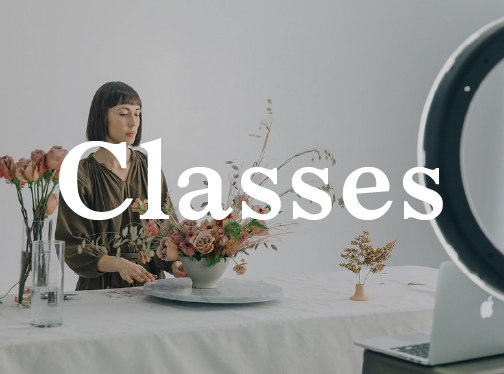 Watch an in-depth video of Steve designing a gorgeous bridal bouquet for their bride, and his creative process behind bouquet design. Get an inside look at how Steve and his team pack their trucks and coolers for travel. Find out their best tips for transporting flowers and keeping them safe, and learn how he stays organized to maximize efficiency. Watch as Steve designs a fun and festive rehearsal dinner for his clients. In this video, you’ll find out what’s happening during each important part of a real wedding day. 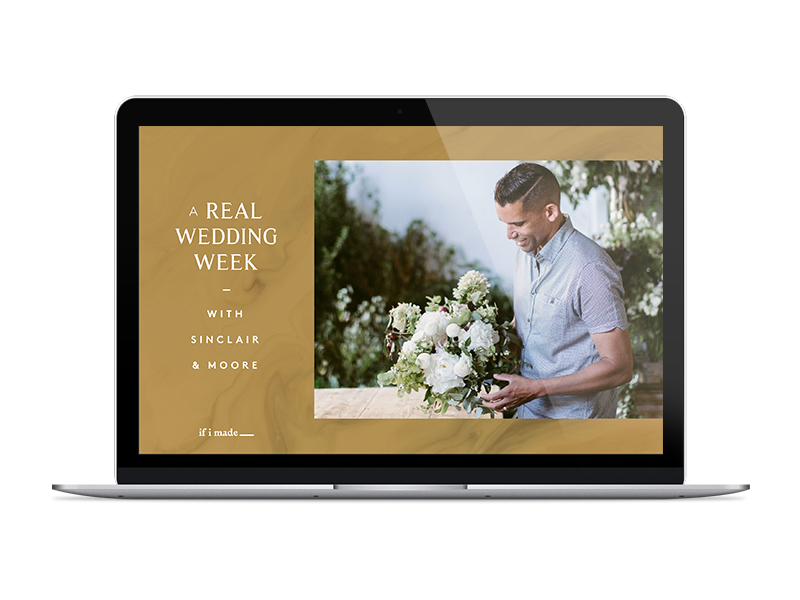 You'll check in with Steve; Jamie, the coordinator; and all of the other vendors and experts as they’re working to make the wedding day come to life. You’ll watch the design process unfold, as well as learn about the logistics and planning going on behind the scenes. This is an all-access pass to one of Sinclair and Moore’s exquisite weddings! Watch as Steve and his team design a hanging ceiling installation. Watch as Steve designs a ceremony ground floral installation.